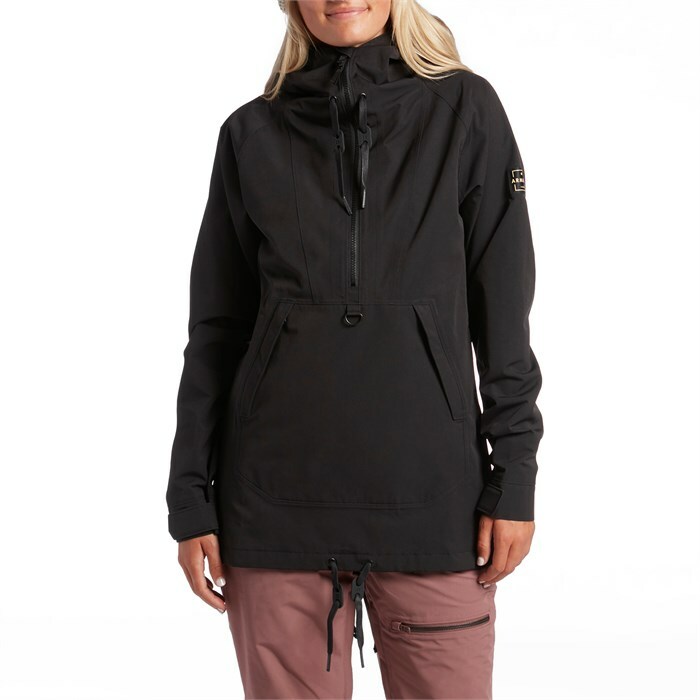 At home from mountain to town, the waterproof and breathable Armada x evo Saint Zero Pullover and it's anorak fit mimics your favorite hoodie, but with performance to match tempestuous alpine weather. A long side seam zipper makes on/off a snap, while the mesh-lined vents and slick taffeta lining make it ideally for spring riding, too. Moderate Tailored Fit  Moderate width and length with light tailoring for a trimmer silhouette and an additional 1-2" in length. Slim This is a streamlined fit to provide a wide range of motion and a minimalist look. Jackets fit close to body, with a more tailored or fitted profile. Pants have a slimmer thigh and knee, and typically won’t go much below the ankle when standing straight.